Exam development is a process that established the technical level of the Q/ISP exams. Exam item review is completed by independent SME experts/ professionals to ensure that the exam items meet th eexam objectives in a clear, error-free, unbiased format. Input from SME was from industry experts was considered in the exam development, especially on how the qualifications and credential vaidation is executed for all Q/ISP exams. 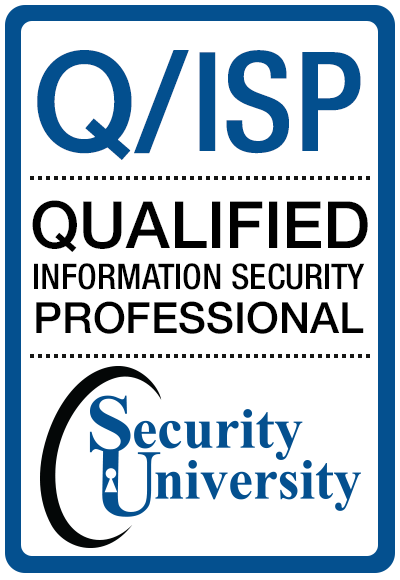 The Q/ISP exams are designed to validate the candidates hands-on skills. The Q/ISP exam development process is comprised of 3 phases that reflects. Subject matter experts (SMEs) highlight the significant job functions of ethical hacking. The job analysis identifies the tasks and knowledge important to cyber security professionals; and, creates test specifications used to develop the Q/ISP exam. The result of a job analysis is a certification exam blueprint. The tasks and knowledge units are surveyed to rate, measure, and assess the skills and knowledge units required. These ratings are used to determine the number of exam questions. SUT Scheme Board, a group of experts, inspects and validates the objective and the approach used in the job analysis prior to the authoring or writing of the exams. SMEs write the exam items to measure the objectives stated in the exam blueprint. The exact number of exam items that they write is dependent on the feedback of the job analysis phase. The approved items are those that are technically, grammatically, and semantically clear, unbiased, and relevant. A panel of experts other than those who write the items will answer and rate all items to deduce a minimum passing or cut score. Scores vary from one exam to another due to the score dependence on the items pool difficulty. The SUT Q/ISP Scheme Board provide the final approval of the whole process prior to the exam publication. The distribution of the new exam items and test scores enables SUT to calibrate the actual exam for improved perforance and quality. The number and quality of items in the approved exam is determined by the scores and results of the continued exam. The analysis of the exams over time help determine the difficulty of items and new items to determine level of candidates' competencies. SUT experts continuously and rigiorously inspect the items for technical correctness to continue to improve the candidates capabilities. All Q/ISP exams are provided by Testrac, the only global on-demand 7/24 test vehicle. All candidates can challenge the a question on an exam. rect, he/she can challenge or request evaluation of the part in question via the steps enumerated below. This should be done within three calendar days of the exam day. Such a process is necessary to identify areas of weakness or flaws in the questions but the exam itself cannot be re-scored. Nevertheless, all possible efforts are not spared to assure the candidate's satisfaction. 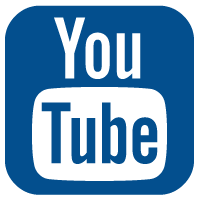 The candidate's feedback is paramount to EC-Council certification exams. Students can email SUT with a challenge or complete a SUT Exam Challenge form from an instructor. The challenge should clearly identify the question. No candidate's exam item challenge will be considered without completing the form or email. The form should be submitted within 72 hours of the exam date. The email subject line should include the “Exam Item Challenge”. Only requests received within 72 hours will be considered. The candidate must fill a separate form for each exam item s/he is challenging. SUT will acknowledge receipt of the request by email. This may include a conclusive result of the evaluation, or an estimated time for the evaluation process to be completed and results to be shared with the candidate.